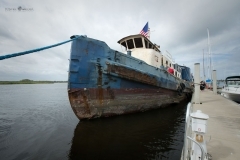 Two vessels are intended to be sunk in the upcoming weeks off the coast of Volusia County Florida. 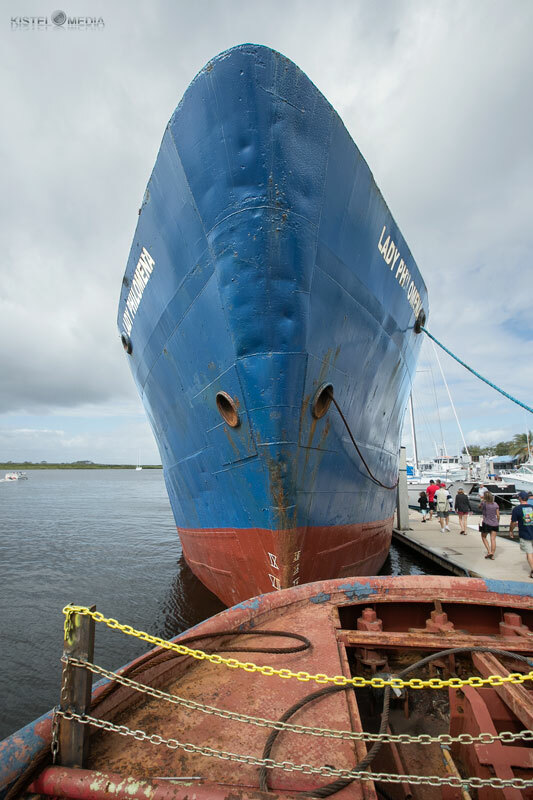 The ships are destined to become artificial reefs and will evolve into thriving marine habitats. 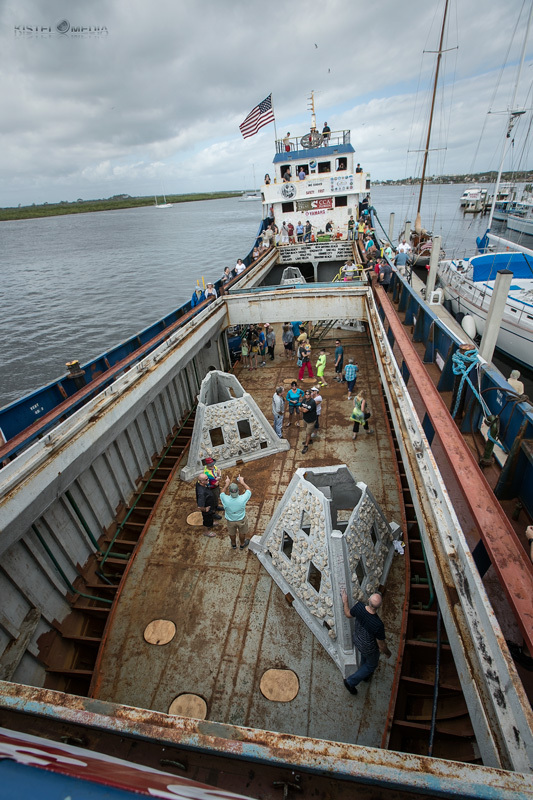 These structures will benefit the environment and provide recreational opportunities to fishermen and scuba divers. 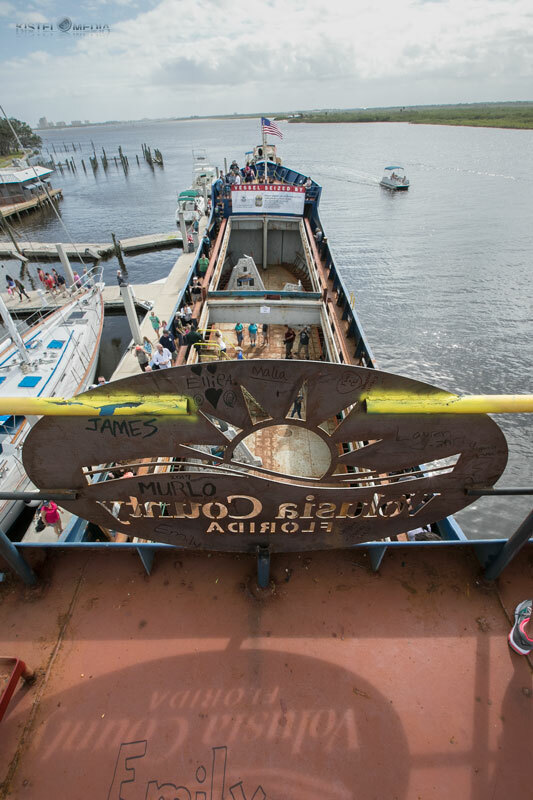 This past weekend Volusia county, the Coastal Conservation Association, and project supporters hosted a dockside viewing of the vessels. 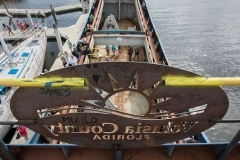 The event was a hit bringing out a countless amount of visitors to see the ships prior to their deployment. 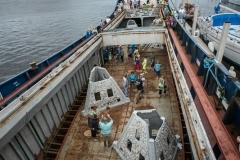 Kudos to all those involved in this project. 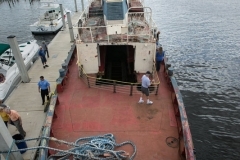 Check out a few pictures of the vessels to be scuttled below. 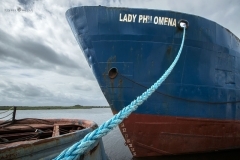 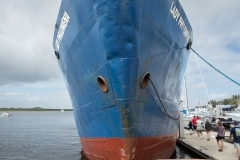 The Lady Philomena is a 150' cargo vessel that was seized by regulatory agencies due to use in illegal activities. 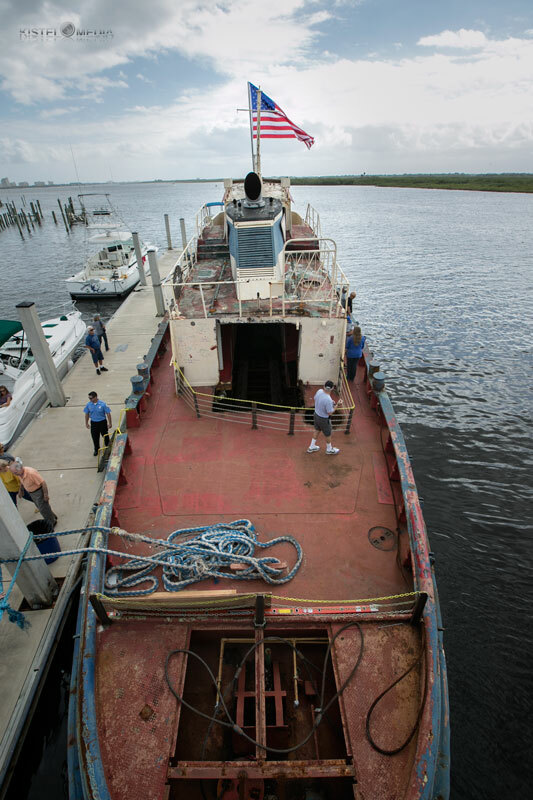 This ship will become a productive underwater environment offshore Daytona Florida.